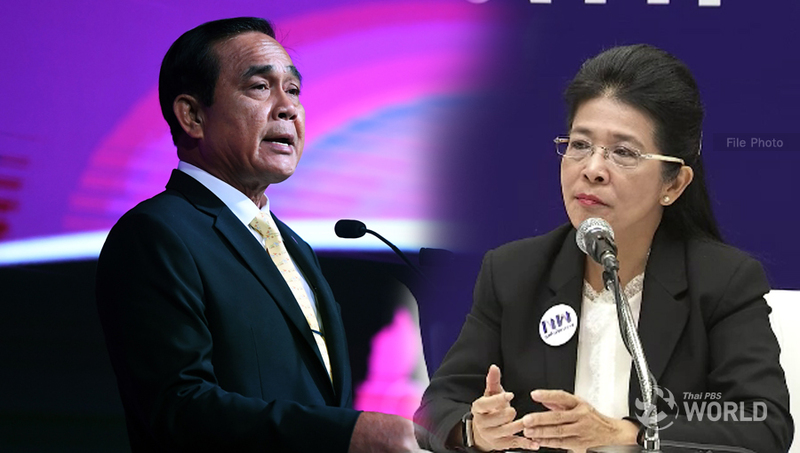 The Pheu Thai Party and Palang Pracharat Party are going neck and neck in the official count of the Election Commission. 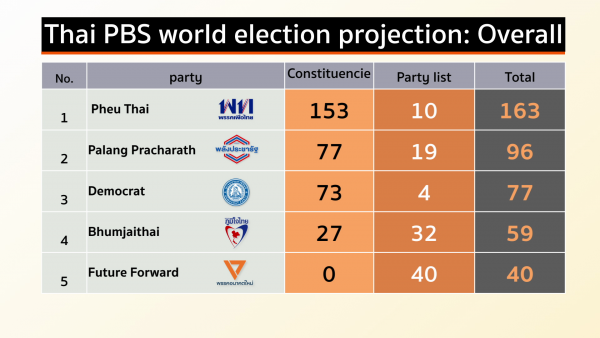 The Palang Pracharat Party, as of 7.15 pm, is winning 136 seats, compared with Pheu Thai’s 133. 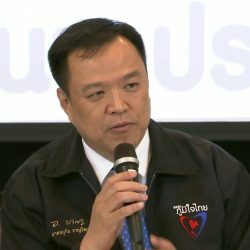 Pheu Thai, according to the unofficial results, is winning 113 constituency seats and 2o party list seats. 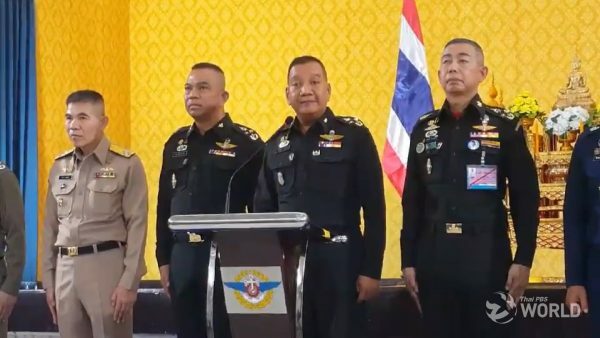 Palang Pracharat, meanwhile, is winning 99 constituency seats and 37 party list seats. The numbers will most likely change when more results pour in. 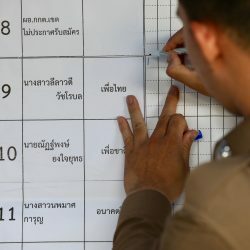 Of more than 51 million eligible voters, of whom a high turn-out is expected, only a few million votes have been counted as of 7 pm. Calculations in the new proportional system will also impact the eventual numbers of seats each party wins. 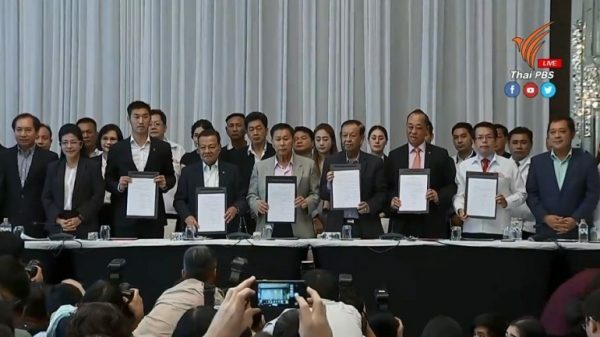 Future Forward is coming third, winning 21 constituency seats and 55 party list seats.